Sansa is a one page HTML5 template that you can use for your business. This theme is compatible with Bootstrap version 3 framework. It comes in 4 different color layout. 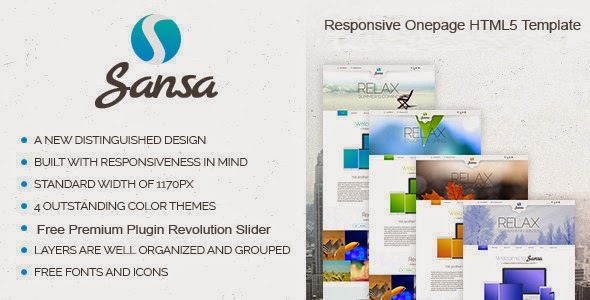 Item Reviewed: Sansa - Creative OnePage Responsive HTML5 Template 9 out of 10 based on 10 ratings. 9 user reviews.